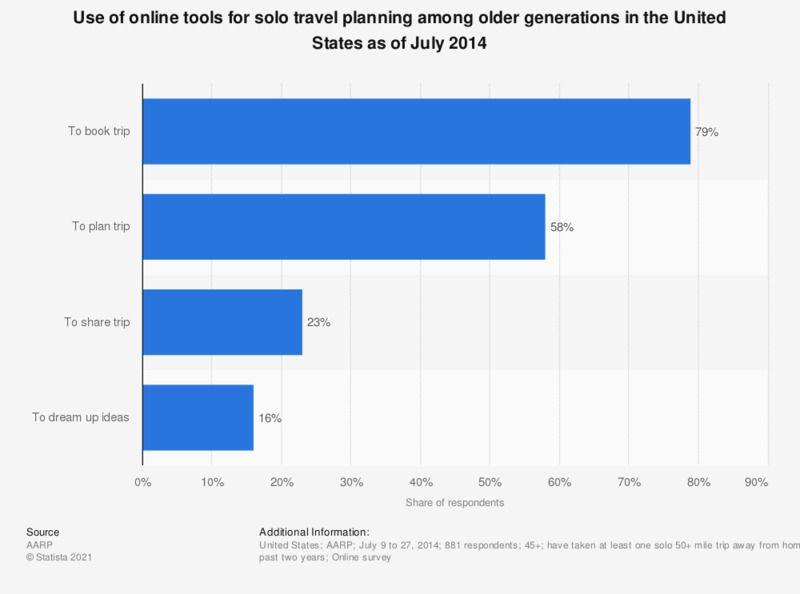 This statistic shows the use of online tools for solo travel planning among older generations in the United States as of July 2014. During the survey, 79 percent of the respondents stated that they used online tools to book their trips. Generation X: At what age would you describe yourself as being "old"? Generation X: are you optimistic or pessimistic about your future?